The Invisible Farmer Project is the largest study of Australian women on the land. Initiated by Museums Victoria this three year project (2017-2020) aims to create new histories of rural Australia, reveal the hidden histories of women on the land, learn more about the diverse, innovative and vital role of women in agriculture, stimulate public discussions about contemporary issues facing rural Australia and its future and develop significant public collections that will enable far reaching outcomes in research, industry and practice. Curators Liza and Catherine will be speaking about the project at Eltham Library on Wednesday 17 October. Please bring your stories, photos and family heirlooms and share the stories of rural women either in your family history or local community. True stories of Australian women on the land. 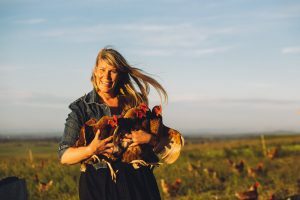 This list is Inspired by the Invisible Farmer Project which aims to create new histories of rural Australia, reveal the hidden histories of women on the land and to learn more about the diverse, innovative and vital role of women in Australian agriculture.